Here is the trilobite fossil shown in yesterday's post after it has been polished with a buffing wheel. 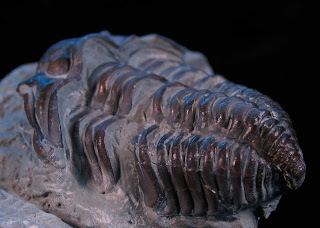 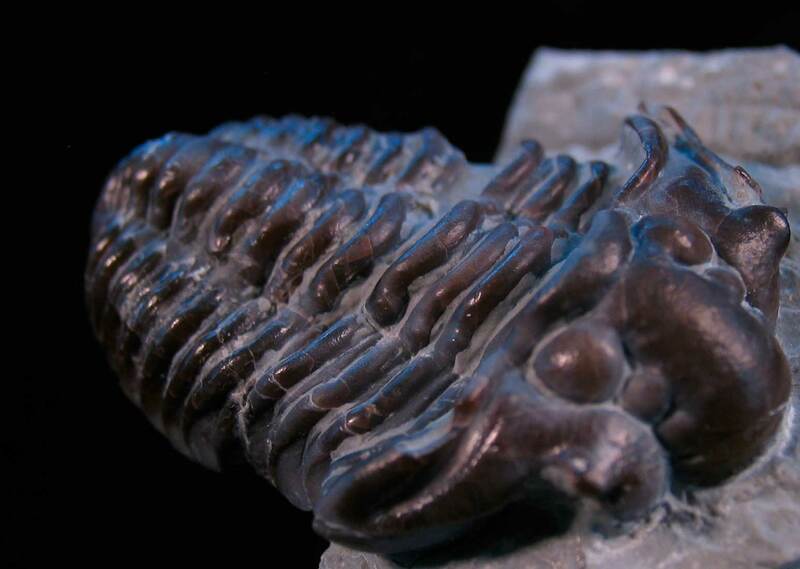 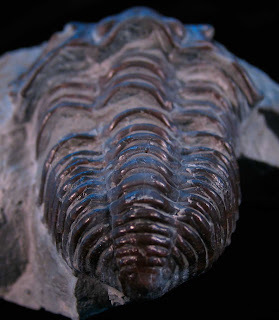 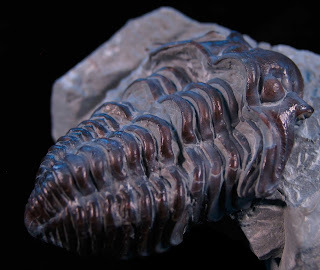 Since this trilobite shell appears to be a molt and began to dearticulate it does not appear that the matrix can be removed between some of the thorax segments. 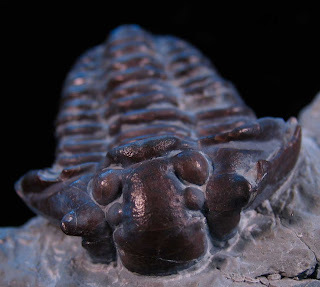 This Calymene trilobite is from the Waldron Shale (Middle Silurian Period) of Clark County, Indiana. 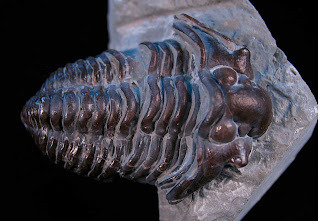 Thanks again to Kenny with help with sand abrasive work to help clean off the glue residue and mini-scribe work to reveal more detail on the cheeks.